Relevant. This aspect of goal-setting has to do with making sure that the goal has relevance and importance to the goal setter to work and reach his or her intended goals. Timely. Your goal should have a timeframe for completion, whether it is a goal you are setting to accomplish by the end of the year or with a specific date in mind. This also helps with holding yourself accountable to your goals and gauging where you are with respect to attaining your goal. One other tip in creating goals for yourself—whether personal or professional. Write down your goals. 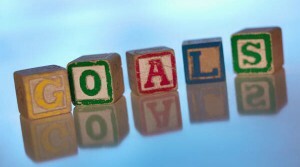 It is a proven fact that those who write down their goals are more likely to accomplish them. There’s a saying that goes, “Goals that are unwritten are just wishes.” So, write down your SMART goals and find yourself one step closer to accomplishing them.